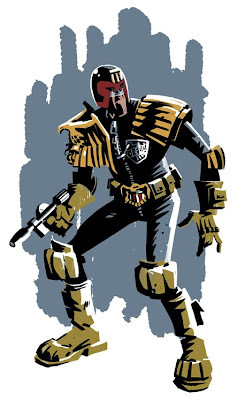 Great Dredd I have always liked the McMahon style skinnier frame look much more expressive, and the mighty one should snap you up for the prog. Yeah, Bolland, McMahon, Cam Kennedy: all my favourite Dredds were a bit gangly. just found you via mcdaid on twitter. you've got some beautiful stuff here, rob. mcmahon, kennedy, parkhouse. i'm seeing all my favourites (with a healthy dollop of rob davis).